MASSIVE book I'm wading through for the second time, this time taking notes. It could be a 5-star, but that will have to wait until a few kitchen experiments have commenced. 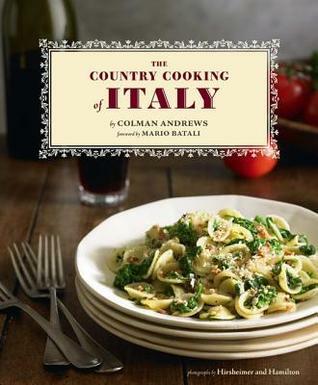 Colman Andrews - Co-founder and former editor of Saveur magazine and the author of Catalan Cuisine, Flavors of the Riviera, and Everything on the Table and co-author and co-editor of three Saveur cookbooks. Now a resident of New York City and Connecticut, a native of Los Angeles and a frequent contributor to the LA Times and Los Angeles Magazine. He won six James Beard Awards for his writing on food and wine, and was one of the first 50 people named to Who's Who of Food and Beverage in America.